B0843. 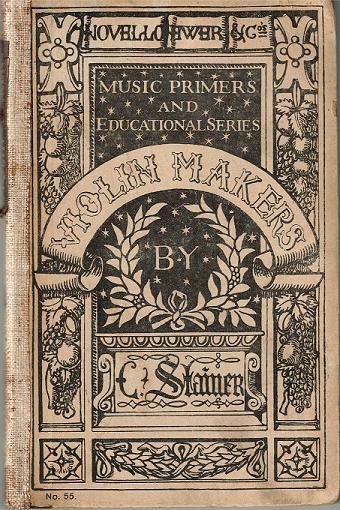 C. STAINER. 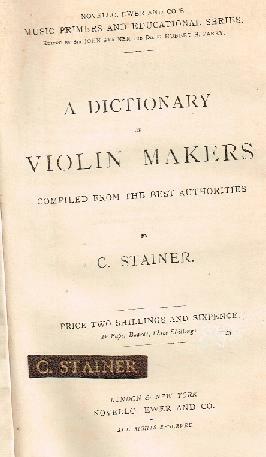 A DICTIONARY OF VIOLIN MAKERS, compiled from the best authorities. From Novello's Music Primers And Educational Series. Edited by Sir John Stainer and Dr C. Hubert H. Parry. London, Novello, Ewer and Co., 1886. 102pp.